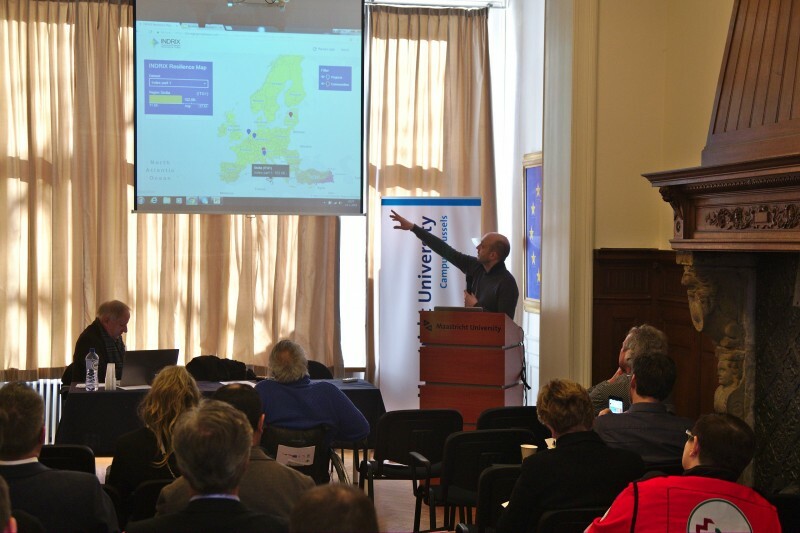 The project Inclusive Disaster Resilience Index (INDRIX) held its final conference on 14 February. 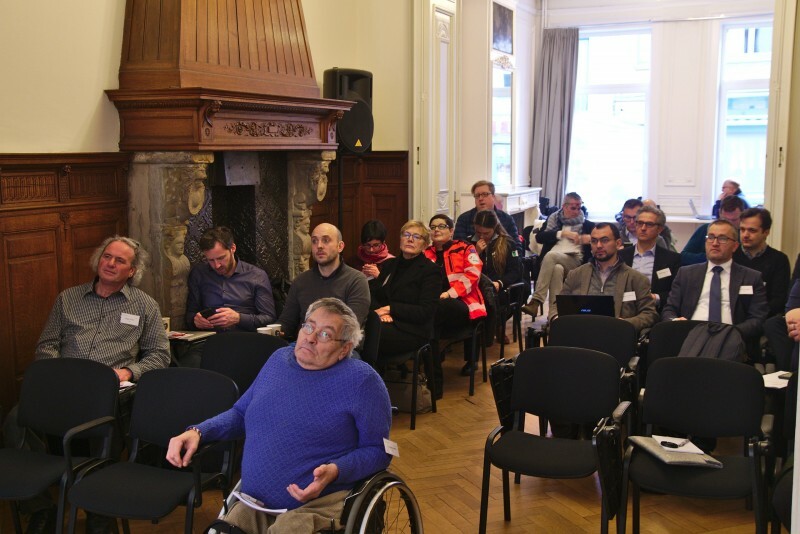 The project consortium and stakeholder representatives came together in Brussels to review the project’s results and make recommendations for follow-up steps. Over the course of its two-year project timeframe, the EU co-funded project INDRIX developed an index of social resilience. A particular focus was on the needs of particularly vulnerable groups in case of disasters – such as the Elderly or people with disabilities. In this respect, the project was supported by Italian NGOs FISH and Auser. The index was developed with a focus on community resilience, hence focusing first on available statistical data for standardised regional units (“NUTS2” level). The project also found this available data insufficient and, in some cases, too unfocused (no “NUTS3”, the next smaller level, data available) and thus developed a second part of the index that relies on survey data to fill in the gaps. 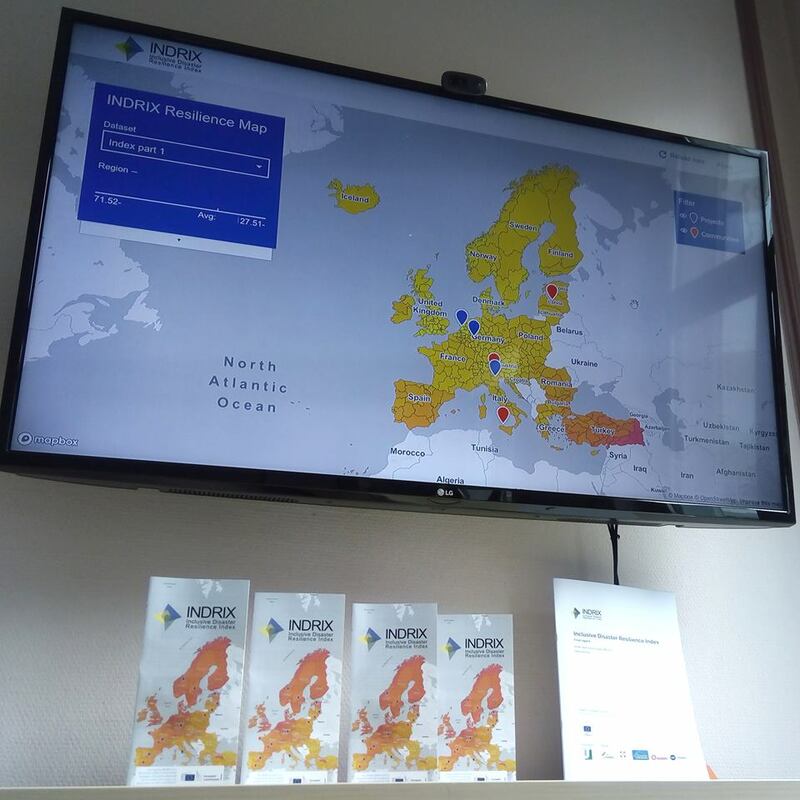 The resulting information was then visualised using the so called “Indrix Resilience Map”, an easy to use graphical interface that lets interested parties explore the wealth of data brought together by INDRIX. The dimensions identified as part of the index development were also used in the development of an additional questionnaire that aims at civil protection projects. With this additional questionnaire, project coordinators, or applicants, can check which aspects of resilience are most covered by their project or project idea. Conversely, it also shows the aspects of resilience not considered. This can be a tool for project development and evaluation – particularly in combination with the identified regional weaknesses in resilience via the first and second part of the index. As a conclusion to the project, the consortium presented several recommendations and possible follow-ups. 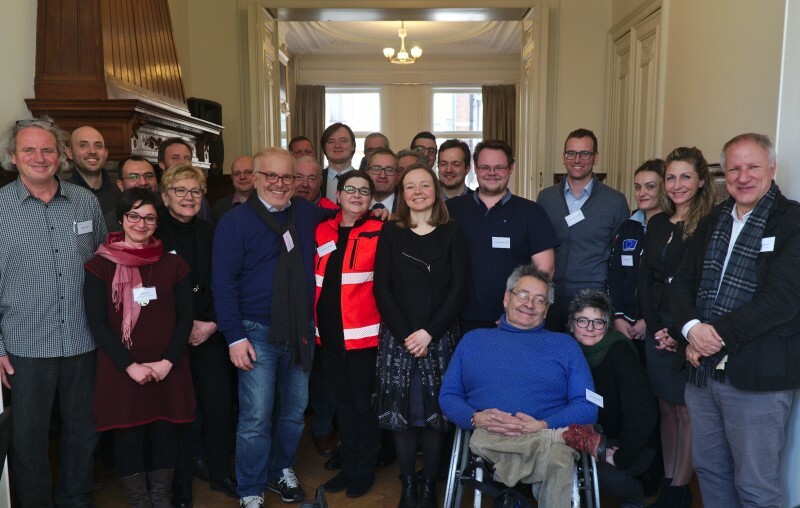 These also included the need to improve the availability of statistical data, as only systematic surveying of all aspects of disaster resilience can offer complete comparability across Europe. In particular, data relevant for people with disabilities in disaster situations was lacking. The project consortium is considering options to continue their work in a follow-up project.